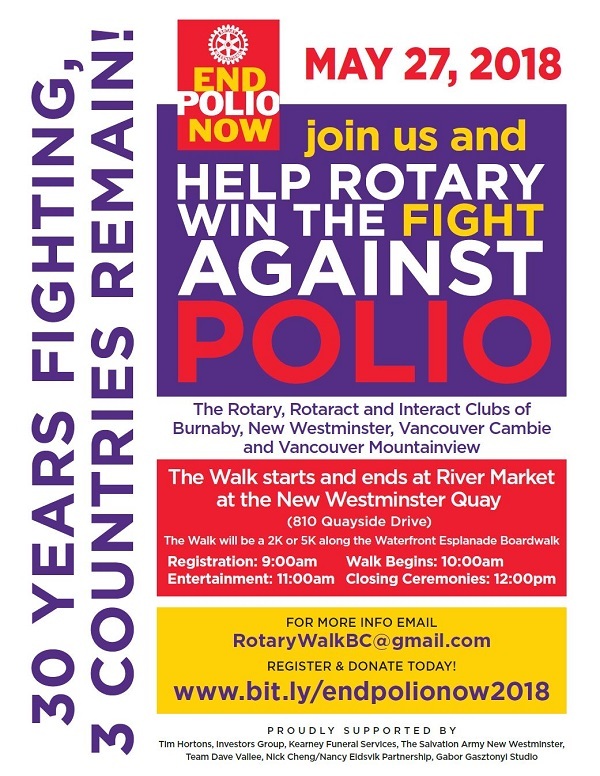 Meet at the River Market in New Westminster, B.C. 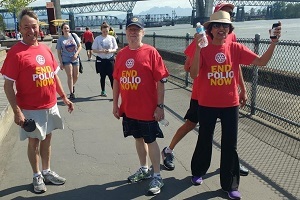 on Sunday, May 27th at 9 am and trek along a 2km/5km path along the Fraser River in support of the Rotary Foundation to End Polio Now. You can join the walk or make a donation or, find out more.